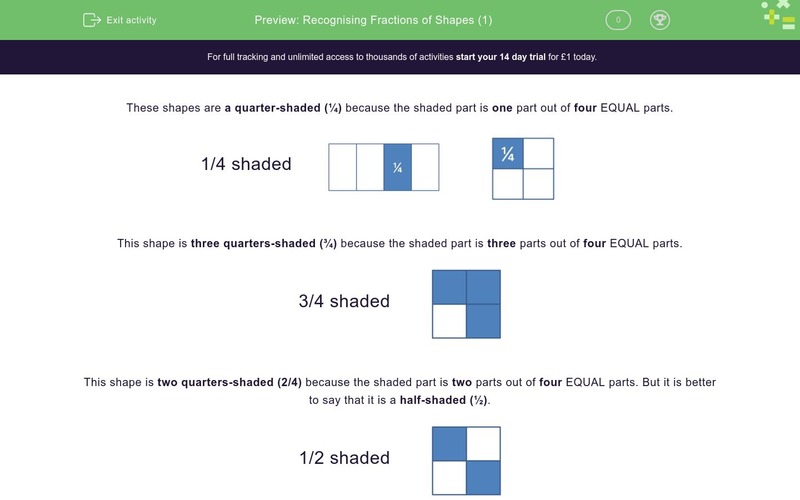 In this worksheet, students must state the fraction of a shape that is shaded. 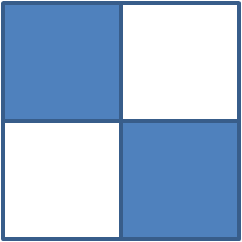 These shapes are a quarter-shaded (¼) because the shaded part is one part out of four EQUAL parts. This shape is three quarters-shaded (¾) because the shaded part is three parts out of four EQUAL parts. This shape is two quarters-shaded (2/4) because the shaded part is two parts out of four EQUAL parts. 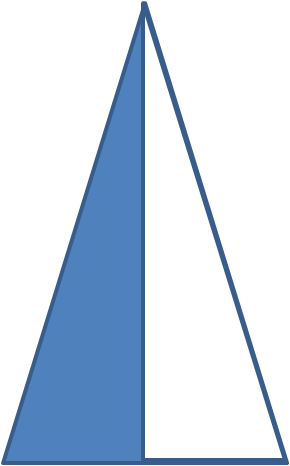 But it is better to say that it is a half-shaded (½). This shape is one third-shaded (1/3) because the shaded part is one part out of three EQUAL parts. 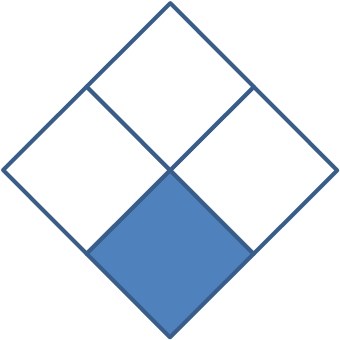 What fraction of this shape is shaded blue? 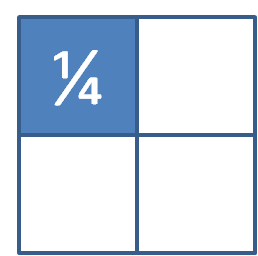 1 part out of 4 equal parts is shaded blue. 1 part out of 3 equal parts is shaded blue. 1 part out of 2 equal parts is shaded blue. 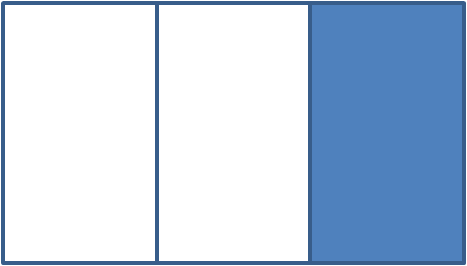 2 parts out of 4 equal parts are shaded blue. 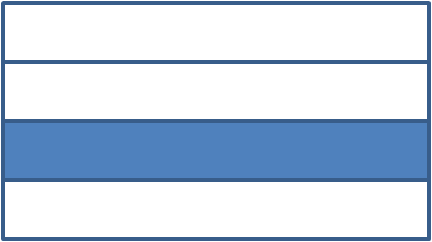 This is the same as 1 part out of 2. 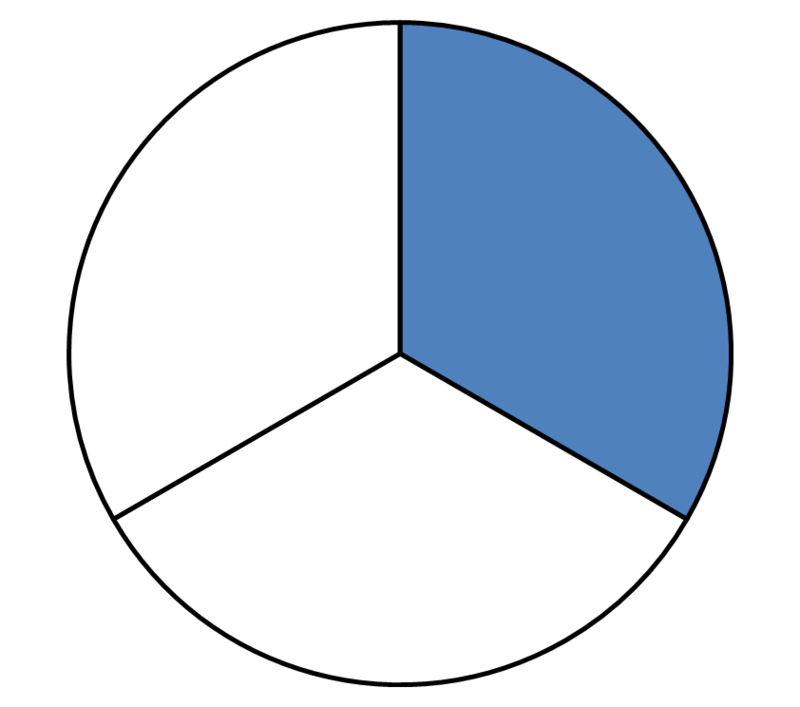 3 parts out of 4 equal parts are shaded blue.